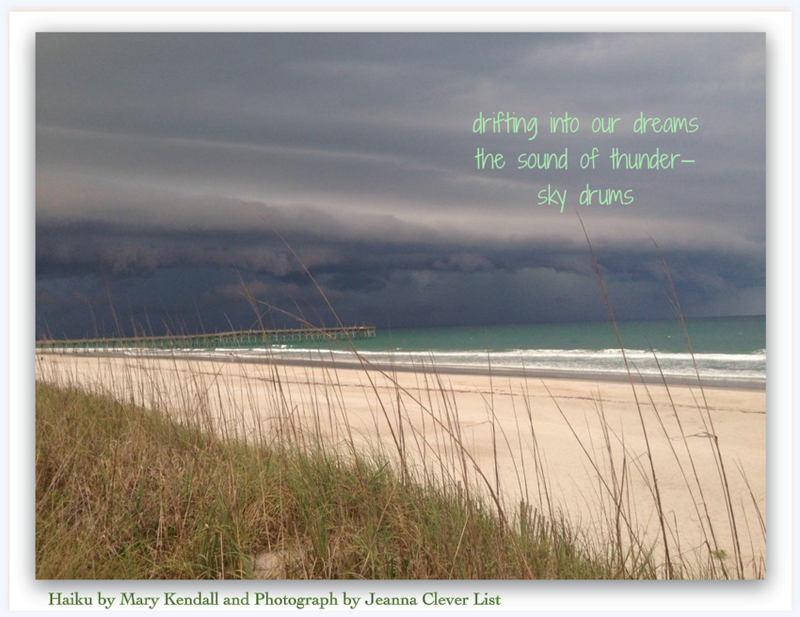 This entry was posted in haiga, haiku, Mary Kendall, meditative poetry, nature poetry, Poems, Seasonal Poem, seasonal poetry, Summer Poems and tagged beach, beauty, Mary Kendall poetry, North Carolina seacoast, Photo by Jeanna Clever List, sky drums, summer storm, thunder, weather poem. Bookmark the permalink. Thank you ever so much, dear Hariod. Beautiful pairing of words and photo. Your haiga and Jeanna’s picture are both magical, Mary.